You must make reservations at least 5 minutes in advance of the time at La Mer at Halekulani. Complimentary valet and self parking is available. 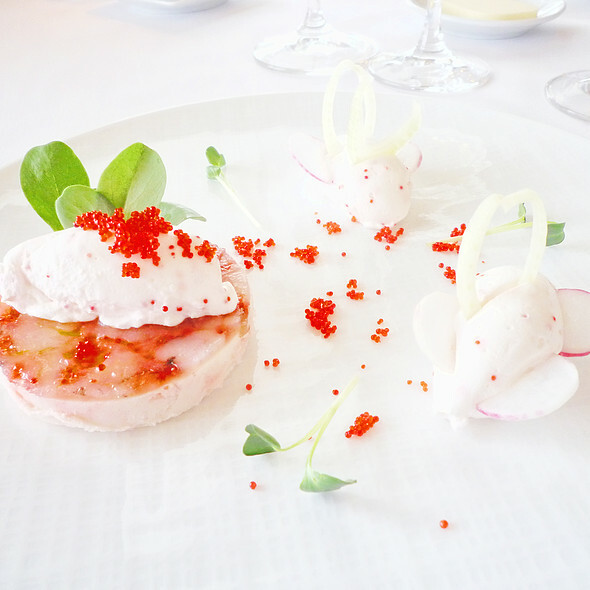 La Mer is far more than a restaurant, it’s a degustation destination. Celebrated as Halekulani’s finest and Hawaii's longest, consecutively ranked AAA Five Diamond Restaurant, this consummate dining experience is unmatched. 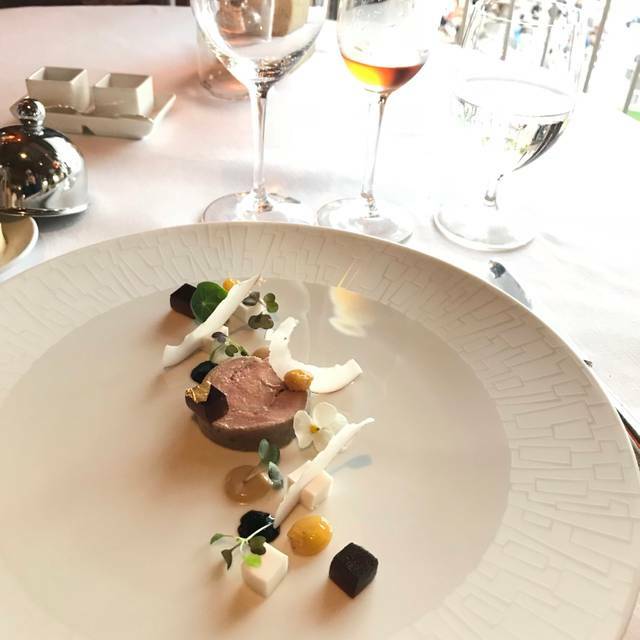 The internationally acclaimed menu features Neoclassic French cuisine expertly crafted and served amid majestic and romantic ocean views of Waikiki Beach and Diamond Head. 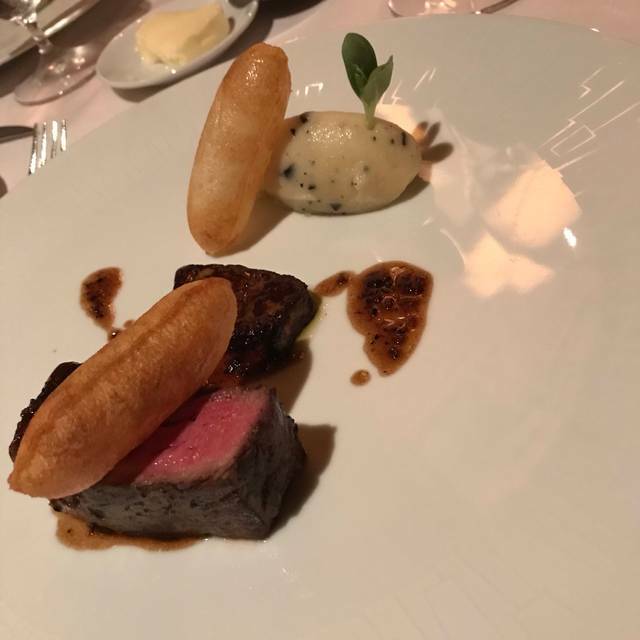 Indigenous ingredients are uniquely blended in masterful dishes inspired by flavors from the south of France to produce an unsurpassed dining experience. An award-winning wine list is available to complement the perfect dining experience. La Mer restricts patrons to adults and children 8 years or older. Dress Attire We request elegant evening attire for women. Dinner jackets or dress shirts, dress slacks and shoes for gentlemen. That was a memorable dining experience. The food was amazing and every little detail that came with it was outstanding. My wife and I ordered the 7 course meal. I was full by the 3 or 4 entree. Well, first you have to fly to Honolulu and then you have to have reservations. We stayed at the hotel which made it much easier. Be prepared to spend $400 per couple without wine for the Dégustation menu with four selections. Wine pairing will run you another $95 each and if you chose the premier wines it's $175/ea. The setting can't be beat overlooking the Pacific with the waves and ocean breezes. Service is terrific although many of the staff speak with either a strong Hawaiian or Oriental accent which means you have to listen carefully at times. Food presentation is very good but the restaurant has no Michelin Stars, yet and don't forget, excepting the fish nearly everything is imported so freshness has to be an issue. Plan on spending at least 2-3 hours at the table for a very good experience. Perfect for, but don’t wait for, a special occasion to dine at La Mer. Treat yourself. Food, service, ambience and view all perfect. A dinner to remember. This is this quintessential dining experience in Hawaii. All of your senses are filled with Charm of this enchanting island and restaurant. Stunning view looking out on Diamond Head. Food presented wonderfully and our waiters were delightful. A real treat if you're in Honolulu! A magical place, my husband and I celebrated our honeymoon here and it was perfection. Absolutely delicious, delightful and memorable dinner with iconic views! The service was attentive, professional yet charming and not intrusive at all. The Chef's creations were works of art. And, the descriptions when presented had our taste buds on high alert and they were not once disappointed. Definitely a fine dining experience at its best. The athmophere was fantastic however, too much restrictions on food pairing and inneccarsry charges. A $200 dinner can easily be $500-$700 with all the additional food choices. I won't recommend going there if you have a dietary needs as you won't be able to eat anything. 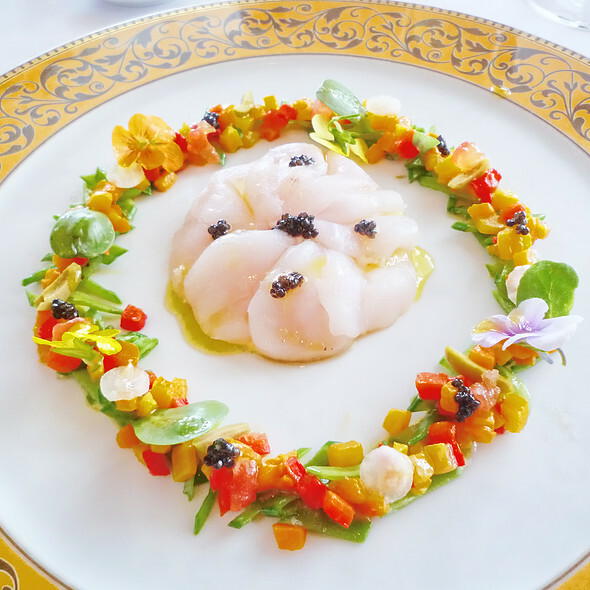 La Mer compares favorably with restaurants at which we've dined in Paris. The food is creative, delicious, and beautifully presented. Service...absolute perfection in the classical manner. The restaurant's setting is stunning, with windows looking out to Diamond Head and the ocean. Cocktails at L'Aperitif were interestingly different, with the Chanel my favorite. Our starters were scallops in an orange butter sauce and the delectable lobster bisque. For our main course I had rouget, which was very nicely seasoned and sauced. My companion delighted in lamb with roasted eggplant. For dessert he had "texture de chocolat," a sublime concoction, while I had a vanilla soufflé with fruit sauces and cocoa nibs. Because my companion was celebrating a birthday he was also presented with a delicious little cake. (No candle, thank goodness!) All in all, this was a superb meal from a talented chef in a beautiful setting. 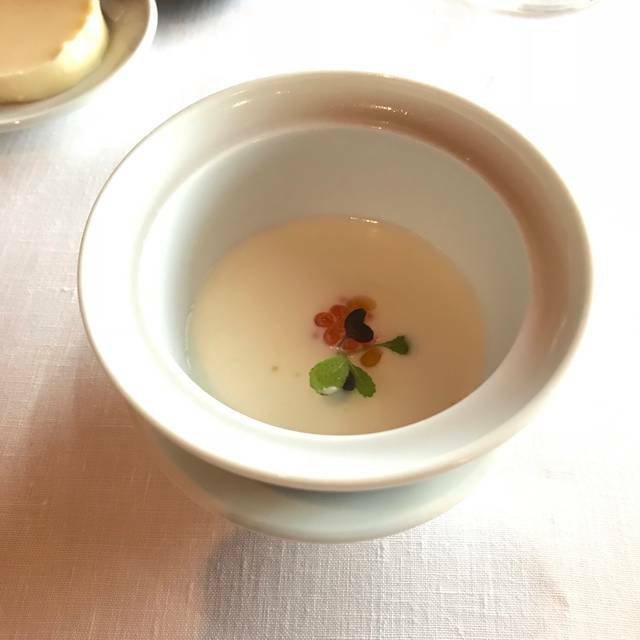 The restaurant is, in Michelin terms, definitely worth a journey--even from California. La Mer is by far my favorite restaurant in Honolulu. They have a great wine selection and excellent service. I would highly recommend the fondue d’Oignons au Xérès and Filet de Canard Rôti. am sure that La Mer will get 3 Michelin star award soo! We felt rushed and food was just ok! Service was very good! Spectacular!!! One of the best dining experience with our meal, ambiance and wonderful waiter Alvin!! Amazing meal and staff. Lovely view. Best dining experience I've ever had. 1) crumbs should be brushed off the table regularly at a restaurant that touts itself as a five star fine dining experience... Although bread was basically the first course, a waiter finally came to tidy up our table just before our entrees were served... My husband actually brushed off bread crumbs prior to this. For the price, guests should not have to do this-- we can stay home if we wanted a "do-it-yourself" dinner! 2) we had to ask for soup spoons to eat our Lobster Bisque. A true five star fine dining restaurant would never have overlooked such an easy task. Everytig is special, foods, drinks, service and view!! Fantastic venue to celebrate my beautiful girl’s birthday. Food, service and company made for a memorable evening. Everything about this restaurant was exemplary! Excellent ambiance and location. Service was impeccable. Food was wonderful but not worth the price tag. As with all french cuisine there was a lot of cream and food was heavy. I wish there had been more local ingredients on the menu. Great overall dining experience. 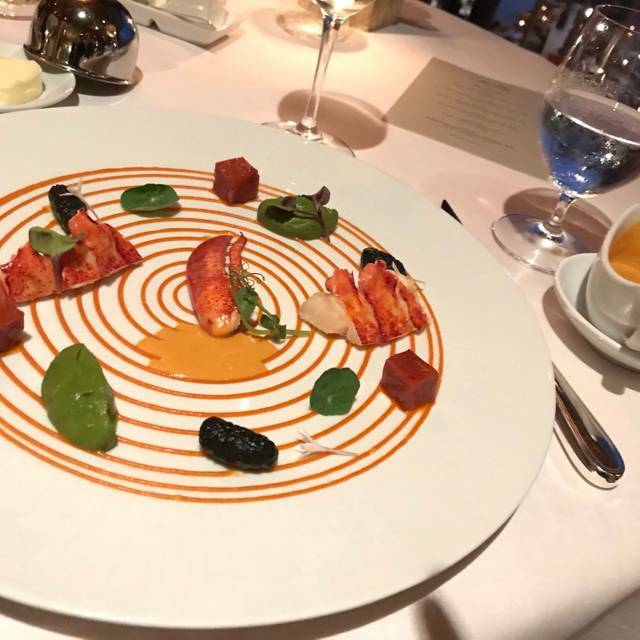 The lobster dish and the souffle were phenomenal. My girlfriend and I ate at at La Mer on our last night in Honolulu. I called ahead to ask if there was a dress code - I was told that I had to wear pants and a collared shirt (no one said anything about a shirt that buttons all the way down). When I showed up in a nice pair of jeans, nice shoes, and a nice polo, I was told that I had to put on one of their suit jackets because I did not have a full button-down shirt on. This was especially disappointing because I CALLED beforehand to double-check. I was too hot wearing their jacket the whole time so I ended up taking it off halfway through dinner. Anyway - the ocean view and ambiance cannot be beat in Honolulu. This is why I ate here. If you are okay spending $350-400 on a dinner, I do recommend eating here. The portions are small for the price you pay. You are paying for a beautiful ocean view, a high level of service, a nice quiet place to eat, and the overall ambiance. The drinks and food were good. I got a $65 beef filet that was about 6 oz MAX. Everything else just felt like extremely small portions for a hefty price - which I knew going into it. So be prepared! If you are in Honolulu with a significant other I still think this is a must-eat spot. 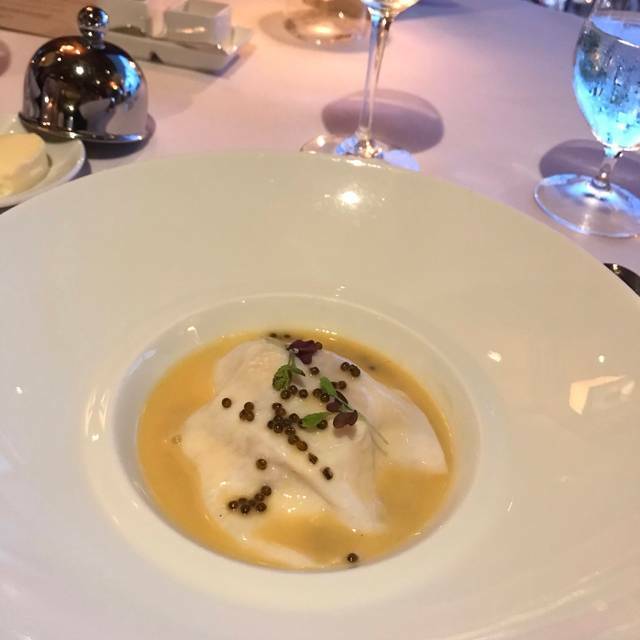 Dining at La Mer is a totally unique experience. We celebrated my brother's birthday there recently. The ambiance is exceptional; we were seated overlooking the ocean, at sunset. It was perfect. We decided to have the prix fixe menu, 3 courses. The service is outstanding, with two designated waiters per table. I cannot even describe the food, it was so exceptional. Two of us had the veal, which was amazing. 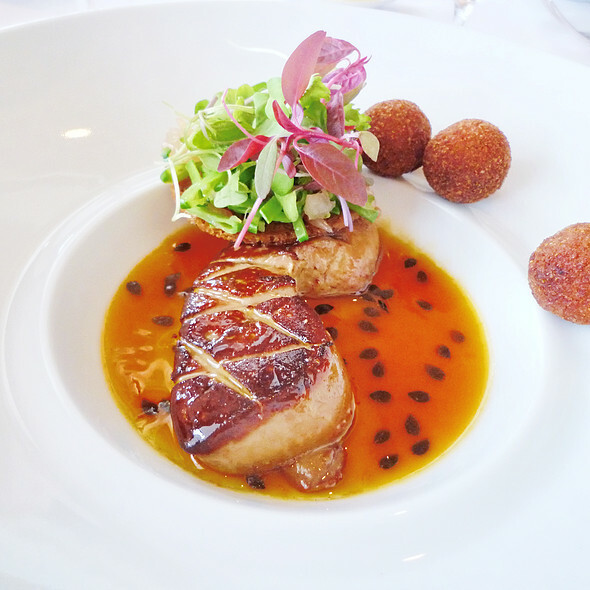 I adore foix gras, and it did not disappoint. 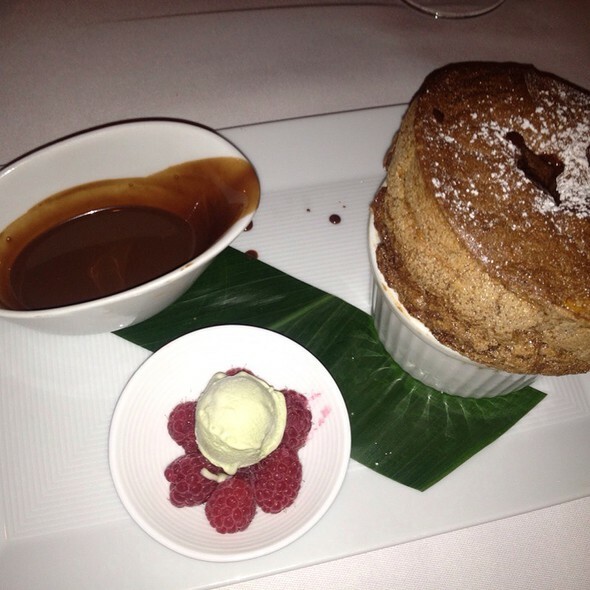 The soufflé was amazing. There is no question the cost is very high, but for a unique, special, and incredible experience, it is worth it. A must for foodies and those seeking a fine dining experience and an exemplary level of service. Expensive but worth it. Good mood and good food. Best restaurant I’ve ever been to! The views, the ambiance, the food and the service is second to none. We return every time we are on Oahu. A special shoutout to Henry, the bartender at L’Apertif, super cocktails and conversation. Incredible experience. The food was the best I’ve ever had and the service was flawless. Felt like a queen for the night. If you go- order the chefs tasting menu!! The setting is spectacular, the service from everyone who attended our table was excellent. The Meal was special in all ways; presentation and taste. We were there for anniversary and La Mer made it the best yet.